Want to look cool? 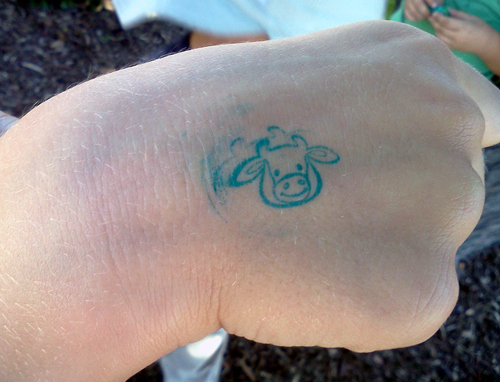 How about a cow stamp? When I picked up my eldest at school a few days ago, one of his classmates was walking around with a small stamp, asking for anyone to volunteer their hands for a stamping exercise. Both of my kids were glad to participate but I was the one the most surprised by the results. Can you guess what the stamp image was? 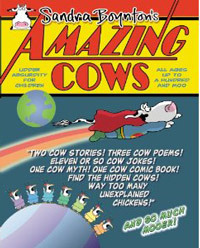 You see, even elementary school kids think cows are cool! 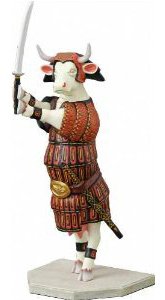 Previous Post It’s Chloe the dancing cow!